Hosted by Hunter Lee Decker 🔥 and Eureka B. **Head to EUREKAON.COM/TICKETS* to reserve your seat! 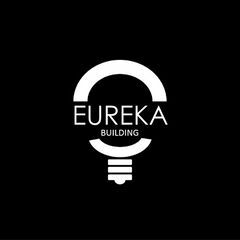 Eureka FEST is the BIGGEST startup festival in Orange County and it is our largest event of the year! We're celebrating entrepreneurship with music, parties, pitches, and innovative content from speakers you won't want to miss. Come hear from our distinguished lineup of speakers, network with industry influencer's, hear new companies pitch and demo their products + startup + companies...and most importantly, have a good time and get inspired! We're back for the 5th Eureka FEST and we're excited to bring you our preliminary speaker lineup for next year! Eureka FEST is the BIGGEST startup festival in Orange County and it is our largest event of the year! We're celebrating entrepreneurship with music, parties, pitches, and innovative content from speakers you won't want to miss. Come hear from our distinguished lineup of speakers, network with industry influencers, hear new companies pitch and demo their products + startup + companies...and most importantly, have a good time and get inspired!